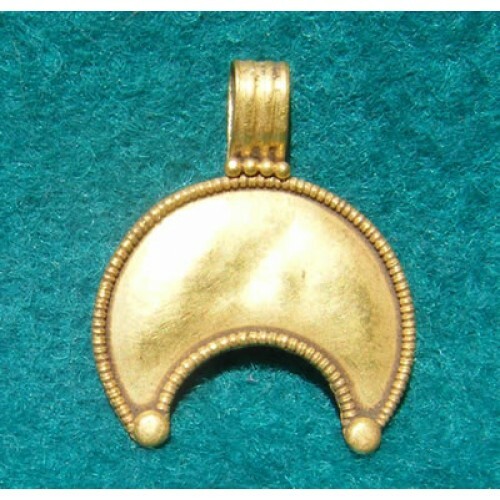 This is an exquisite Roman 22 carat Gold Pendant in the form of the Crescent Moon, circa 2nd Century AD. 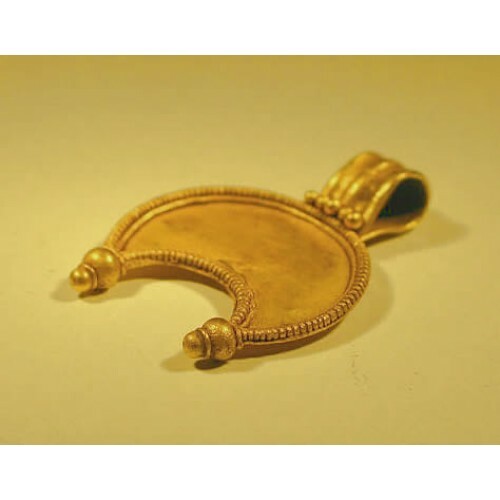 This authentic ancient Gold Roman Lunar Pendant is decorated with fine filigree, intact and with a hanging hoop. 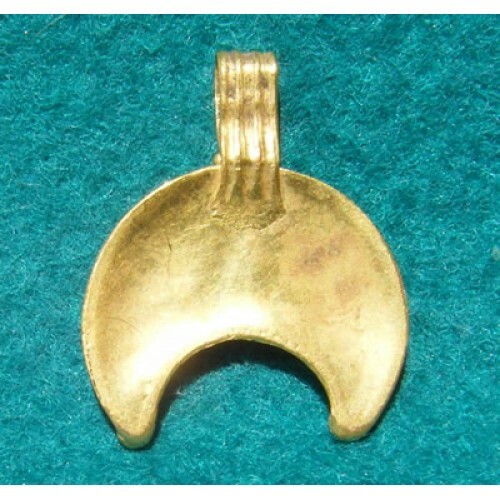 With the addition of a chain or thong this would make a perfect wearable pendant. The celestial bodies have intrigued man since the primordial times. Our ancestors observed these marvels of nature keenly and used that knowledge to try to understand and explain the working of their own lives. 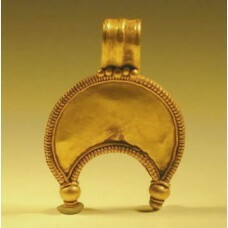 The Sun and the Moon particularly captivated their imagination and were considered to be the center of human existence. 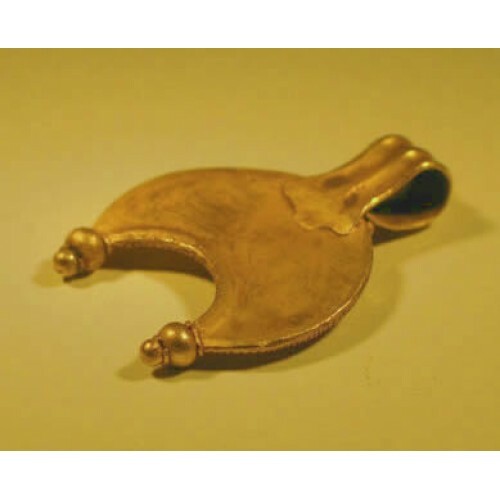 These awe-inspiring heavenly objects were worshipped by all the ancient civilizations for the mystical powers given to them by the Creator; the amazing phenomenon, such as eclipses, related to them; and the critical impact they have on human life. Therefore, the Sun and the Moon have long been part of ritualistic and religious practices of different cultures across the world. Discovered on an old Roman settlement site in Eastern Europe.